1) Start training your puppy early on. While old dogs can be taught new tricks, what’s learned earliest, is often learned quickest and easiest. Moreover, the older the dog, the more bad habits will likely need to be “un-learned”. When it comes to raising and training a dog, an ounce of problem prevention is certainly worth a pound of cure! 2) Train your dog gently and humanely, and whenever possible, teach him using positive, motivational methods. Keep obedience sessions upbeat so that the training process is enjoyable for all parties involved. If training your pooch is a drudgery, rev things up a bit, and try the “playtraining” approach: incorporate constructive, non-adversarial games (such as “Go Find”, “Hide ‘n’ Seek”, retrieving, etc.) into your training sessions. 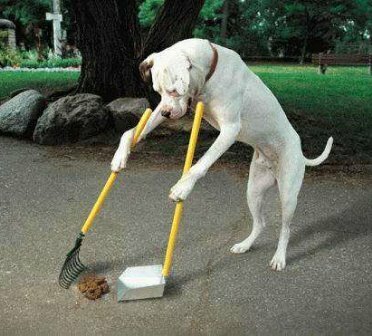 3) Does your dog treat you like “hired help” at home? Does he treat you like a human gymnasium when you’re sitting on the furniture? Does he beg at the table? Jump up on visitors? Demand your attention by annoying you to death? Ignore your commands? How well your dog responds to you at home affects his behavior outdoors as well. If your dog doesn’t respond reliably to commands at home (where distractions are relatively minimal), he certainly won’t respond to you properly outdoors where he’s tempted by other dogs, pigeons, passersby, sidewalk food scraps, etc. 4) Avoid giving your dog commands that you know you cannot enforce. Every time you give a command that is neither complied with nor enforced your dog learns that commands are optional. 5) One command should equal one response, so give your dog only one command (twice max! ), then gently enforce it. Repeating commands tunes your dog out (as does nagging) and teaches your dog that the first several commands are a “bluff ‘. For instance, telling your dog to “Sit, sit, sit, sit!”, is neither an efficient nor effective way to issue commands. Simply give your dog a single “Sit” command and gently place or lure your dog into the sit position, then praise/reward. 6) Avoid giving your dog combined commands which are incompatible. Combined commands such as “sit-down” can confuse your dog. Using this example, say either “sit” or “down”. The command “sit-down” simply doesn’t exist. 7) When giving your dog a command, avoid using a loud voice. Even if your dog is especially independent/unresponsive, your tone of voice when issuing an obedience command such as “sit”,”down” or “”stay”, should be calm and authoritative, rather than harsh or loud. NOTE: Many owners complain that their dogs are “stubborn”, and that they “refuse to listen” when given a command. Before blaming the dog when he doesn’t respond to a command, one must determine whether or not: a) the dog knows what the owner wants, b) he knows how to comply, c) he is not simply being unresponsive due to fear, stress or confusion. 8 ) Whenever possible, use your dog’s name positively, rather than using it in conjunction to reprimands, warnings or punishment. Your dog should trust that when it hears its name or is called to you, good things happen. His name should always be a word he responds to with enthusiasm, never hesitancy or fear. 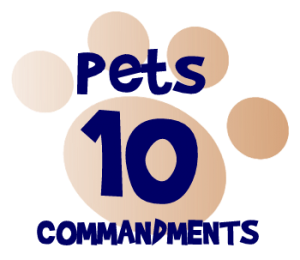 9) Correct or, better yet, prevent the (mis)behavior, don’t punish the dog. Teaching and communication is what it’s all about, not getting even with your dog. If you’re taking an “it’s-you-against-your dog, whip ’em into shape” approach, you’ll undermine your relationship, while missing out on all the fun that a motivational training approach can offer. Additionally, after-the-fact discipline does NOT work. 10) When training one’s dog, whether praising or correcting, good timing is essential. Take the following example: You’ve prepared a platter of hors d’oeuvres for a small dinner party, which you’ve left on your kitchen counter. Your dog walks into the room and smells the hors d’oeuvres. He air-sniffs, then eyes the food, and is poised to jump up. This is the best, easiest and most effective time to correct your dog: before he’s misbehaved, while he’s thinking about jumping up to get the food. 11) Often, dog owners inadvertently reinforce their dogs’ misbehavior, by giving their dogs lots of attention (albeit negative attention) when they misbehave. Needless to say, if your dog receives lots of attention and handling when he jumps up on you, that behavior is being reinforced, and is therefor likely to be repeated. 12) Keep a lid on your anger. Never train your dog when you’re feeling grouchy or impatient. Earning your dog’s respect is never accomplished by yelling, hitting, or handling your dog in a harsh manner. Moreover, studies have shown that fear and stress inhibit the learning process.